There are many talented beat makers and producers, but there will only be one J Dilla. 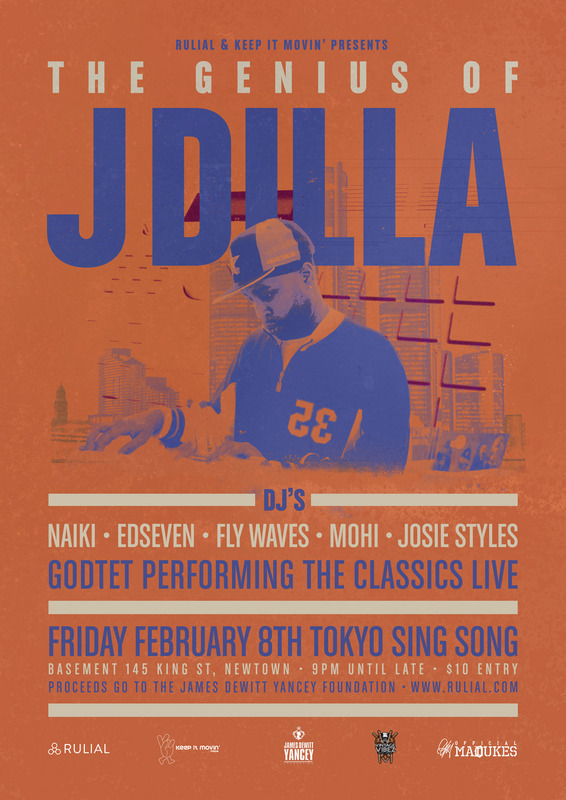 For the latest installment commemorating his untimely death a line-up of artists, DJ’s and musicians from Sydney will be paying homage to the man who shaped a new sound for Hip Hop that inspired beatsmiths, MCs and music lovers around the globe. J Dilla a.k.a Jay Dee, born James D. Yancey, was one of the few artists whose records were bought on sight, played until digested and then discussed among fans and critics. He kept Hip Hop relevant long after many of its greatest heroes had creatively left it for dead. Well respected musicians such as Questlove, Erykah Badu, A Tribe Called Quest, Common & Janet Jackson have worked with, and been influenced by J Dilla’s talents and he is often described as “Your favourite producers favourite producer”.